Welcome to Campers’ Paradise! Since 1960, we’ve been inviting campers to our unique and beautiful island campground founded by our parents, Chris and Jean Swaggert. 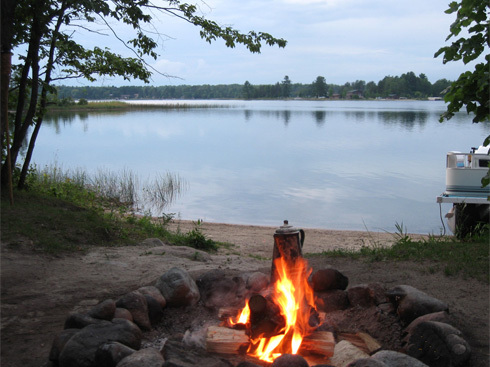 Generations of campers return year after year to swim in the crystal-clear waters of Lake Belle Taine, sun on the sandy beaches, catch that “photo fish,” roast marshmallows over a blazing campfire, gaze at the shimmering northern lights, and just relax, relax, relax. Here at Campers’ Paradise, we hope you’ll experience and enjoy camping the way it was meant to be. Whether this is your first visit or a family tradition, thank you for spending your vacation with us.